Shillong is a hill station in northeast India and also capital of the state of Meghalaya. It’s known for the manicured gardens at Lady Hydari Park. Nearby, Ward's Lake is surrounded by walking trails. North, the Don Bosco Centre for Indigenous Cultures features display screens on the region's indigenous people. Waterfalls include the Elephant Falls to the southwest. East of here, forested Shillong Peak offers city views. 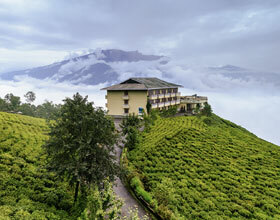 The romantic city of Shillong is one of the vital visitor locations in the northeast. It is often referred to as the "Scotland of the East" because of its striking similarity with the Scottish highlands. 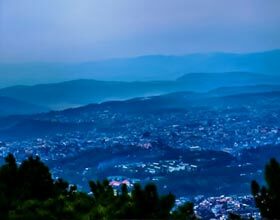 The city derives its name from "Leishyllong"- the Superpower or God who is believed to stay on the Shillong peak, ignoring the city. 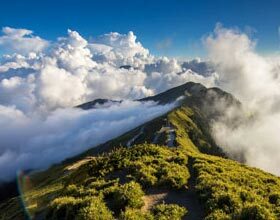 Lying in the cradle of the high yearn conifers as well as pineapple shrubs, Shillong's undulating terrain is a continuous source of attractions for tourists from both residence as well as abroad. The Khasi, Jaintia and Garo people add shade to this hilly city. The capital of Meghalaya, Shillong lies on the eastern part of the state. Perched at an altitude of 1,520 meters (4,990 feet) over water level, the city goes for about 6 kilometres on a elevated tract. 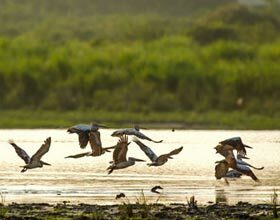 It is located on a plateau bound on the north by the Umiam chasm, on the northwest by the terrific mass of the Diengiei Hills that rise to a height of 1,823 meters (6077 ft.) over water level, and also on the northeast by the hillsides of the Assam valley. 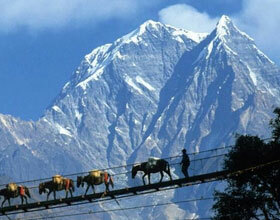 The Umshyrpi and also the Umkhra rivers, which ultimately combine and form the Umiam River, water it. 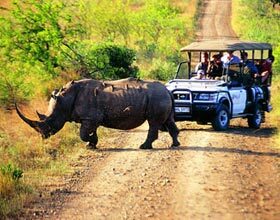 Shillong is at distance of 104 km from Guwahati, 295 km from Kaziranga, 578 km from Siliguri and 658 km from Darjeeling. The climate is hot and humid during summers. The monsoons arrive in June and it rains almost until the end of August. It is quite cold during winters. Shillong was a small village till 1864, when it came to be the new civil station of the Khasi and Jaintia hills. It remained the summer season capital of Eastern Bengal and Assam for several years. In 1874, on the formation of Assam as a Chief Commissioner's Province, it was chosen as the resources of the new administration. An earthquake ruined the city in 1897, necessitating its full rebuilding. In January 1972, Shillong became the capital of the newly formed state of Meghalaya. Shillong is blessed with a pleasurable climate all throughout the year as well as hence it can be gone to around the year. The months of March and April generate summer seasons however the climate is rather great. There is no too much warm and also the summer is mostly mild, with temperature levels ranging between 24 ° C to and also 15 ° C. The moment is ideal for sightseeing and also various other activities. Rainfall in the months from June to September varies from average to heavy. This is time when the waterfalls look even more sensational and Shillong look even greener. The month of July is the wettest month. Though sightseeing the slightly is a little hard at the time but the hotels provide great deals. The rain stop in October as well as the weather condition starts ended up being cool. November notes the starting of the winter season in Shillong. In the winter seasons, temperature levels decrease as low as 2 ° C. If you like winter season chill, this is the place to be for both honeymooners along with recreation vacationers. Pack enough woolens as the nights become quite cold. Famed as "Scotland of the East", Shillong brings to you a nature’s paradise flourished with rich culture. 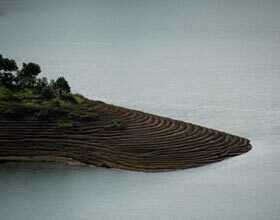 Shillong is wrapped with hills, plant as well as large serenity. The falls and lakes of Shillong are the best spots to locate satisfaction as well as include a charming contrast to the panorama that comprises green in majority. The nightlife in Shillong is quite unique in its own feeling. It is not very taking place or electrifying like what night life is usually thought to be. In Shillong, nightlife is sluggish and constant. People normally such as to relax and also have a beverage or 2 at some of benches Shillong has. Nonetheless, the city doesn't lack nightlife totally. One can discover, Shillong has lots of pubs, bars and also discos. The nightlife in Shillong has slowly shifted from sedate to a happening one. 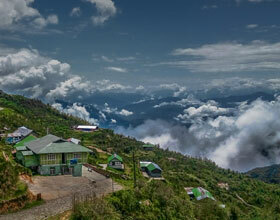 A few of the best places to experience the night life in Shillong are Cloud 9, Café Shillong, Tango as well as Platinum.